Chicago office. Damn you Tmobile. 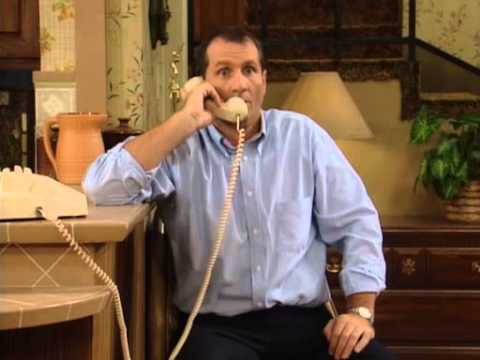 Now, I'm just envisioning Al Bundy giving you support. With Peg in the background hounding him. It was strange that the hold music was "Love and Marriage". Seriously though, is everything going OK? Did we get your questions answered, or do you need any clarification on Al and Peg's input? I've been to Chicago a lot and never heard the accents Farley and SNL did except in Wisconsin. gramps28: I live near Champaign. The last time time I was in Chicago I attended a White Sox/Yankees game (it was the last game Thurman Munson was in). Several years ago people down my way were being mailed speeding and parking tickets, but it was later learned that Chicago residents were using black tape to change numbers on their rear plates. A week ago I visited my daughter in Gilman. That's the most north I have been since. One more thing that I learned was to buy my gas before I entered Cook County. in Will county the prices are .20 plus more. Thanks! That is a great help.